If you’re organising a conference or simply helping out with the effort, it’s important to understand the basic structure of conferences and how they’re supposed to flow. If you have previously run into problems while organising a conference, you might need some assistance. 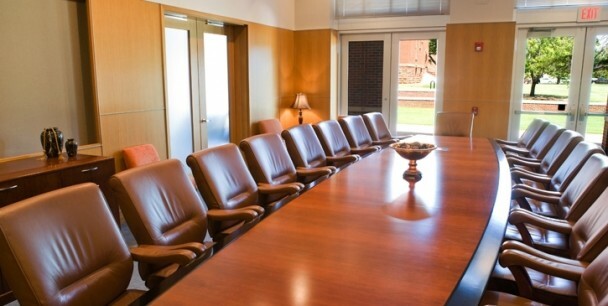 This article will show you some tips that you can implement when running your next conference. While most conference venues in Perth can accommodate a wide range of guests or delegates, it’s still important to get a head count before the conference begins. There are several reasons to do this. First, if you’re serving food at the conference, you want to make sure not to serve too much food, but you also don’t want to run out of food. Making sure you know how many guests you’re expecting will help you narrow down the amount of meals you’ll need. Second, it’s important to arrange seating for conferences and seminars. You’ll need to know an estimate of how many guests will be attending one seminar at the same time. You’ll need to be able to set up tables and chairs if needed, and make sure you have enough seating for every guest. If you have more than one seminar happening at the same time, you can probably anticipate a split between guests, some attending one, others attending the second seminar. This means you might not need enough chairs for everyone. However, if the group reconvenes during the final seminar, you will need enough chairs for every guest. If there is scheduled down time at the conference, it is a good idea to try scheduling some breakout sessions. What is a breakout session? It’s a small meeting or workshop in which participants collaborate to accomplish a goal. This goal could range from playing a game, working through an exercise or curriculum, or simply getting to know each other. It depends on the type of conference. Breakout sessions are important because they allow participants to get more hands-on and absorb the information they’re given. Participants should be encouraged to enjoy each breakout session and be cooperative and collaborative. If you’d like to include these types of sessions in your conference schedule, you’ll need to plan them ahead of time. This can be tricky because breakout sessions often feel spontaneous. Make a schedule in which participants have the option to attend one of several breakout sessions, each with their own leader or facilitator. This gives the participants the option to select which session they’d like to attend. Most conference venues have more than one room available. For breakout sessions, it’s a good idea to schedule them in different rooms because there is more privacy and less risk of distraction. Smaller groups will usually increase participation from all parties, so it’s a good idea to have enough space for this to happen. You can also print out a layout of your conference venue that displays which event will be held where. This will help guests quickly move to their next spot when they’re ready.